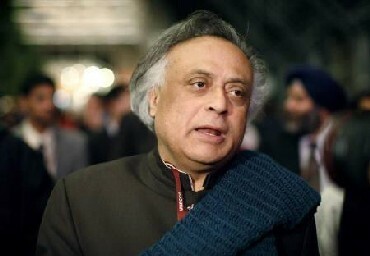 Shiromani Akali Dal on Monday moved a privilege motion in Rajya Sabha against Congress leaders Jairam Ramesh and Renuka Chowdhury for allegedly misbehaving with SAD member and union minister Harsimrat Kaur Badal. Raising the issue of an alleged spat between the Congress leaders and the Food Processing Minister after Rajya Sabha was adjourned on Friday afternoon due to ruckus over AAP MP Bhagwant Mann's controversial filming of Parliament House, Sukhdev Singh Dhindsa demanded that the two should apologise for their behaviour or face privilege motion. Badal had sought permission of the Chair to speak on Mann's act, he said and asked "What right do they have to obstruct." Dhindsa also alleged that the two had misbehaved with Badal outside the House. As Congress members including the two in question strongly contested Dhindsa's remarks, Deputy Chairman P K Kurien said a minister or a member can speak only with the permission of the Chair. "That day, the minister stood up requesting she be allowed to speak," he said, adding the House was in pandemonium at that time. Kurien, who was in the Chair on Friday, said he first allowed introduction of a private member bills and "so did not allow the minister to speak." Kurien said Chairman Hamid Ansari was seized of the matter and if he desired, the concerned parties will be called. The alleged incident happened soon after Rajya Sabha was adjourned on Friday afternoon over ruckus created by the treasury benches on Mann's actions. Anand Sharma (Congress) said the minister has every right to speak in either House of Parliament on a bill or a discussion. But the issue was whether a minister, who is not a member of this House, raise an issue during zero hour, he asked. "Can a minister who is not a member of this house have the same privileges as other members of the House" and that too "about a person who is a member of the other House," he asked. Countering the SAD’x assertion, Ramesh said there was no altercation outside the House and Badal was only told that she was a minister and is supposed to behave with dignity. Also, she was seeking action against a member of the Lok Sabha, something which only Speaker of the Lower House and the government can take, he said. Ramesh said the ruckus by the treasury benches was a deliberate attempt to scuttle a private member's bill seeking implementation of a special package for Andhra Pradesh. "Only these three points (were made)... (But) the minister flew in huff that she was insulted. It is very unfair," he said. Chowdhury asked if a precedence was being set by taking cognisance of issues that happened after the House was adjourned. She also alleged that it was a "pre-meditated conspiracy" to scuttle the crucial private member bill. Minister of State for Parliamentary Affairs Mukhtar Abbas Naqvi said Badal was given permission by the Chair and she wanted to speak as she came from Punjab, the same state as Mann, and the issue concerned national security and the prestige of Parliament.